My husband and I have learned that the following items are essential to always have at home. Monitoring your blood pressure when receiving chemotherapy is vital and having a personal blood pre ssure cuff close by is a must-have. Some chemo meds can raise a cancer patient's blood pressure quite dramatically, and with this device always at hand, you will know instantly whether there is a need to contact your doctor for further advice. It is not necessary to purchase the most expensive model on the market, but one at mid-range should be quite adequate. A battery operated monitor showing blood pressure and heart rate that we purchased at a local department store, has been our reassurance on numerous occasions when my husband's blood pressure was fluctuating from high to extremely high and even low. It's also a good practice to keep a notebook handy to record the date and time when the blood pressure was taken, as well as the current readings. Check with your physician on what he/she might consider a normal reading, as blood pressures vary, depending on the patient and their medical co ndition. These at- home models may not be as accurate as the one in your doctor's office, but their readings are a good indicator of how your B/P is doing. Oh, and one more tip for the patient........always take a few minutes to relax before taking your blood pressure to ensure you get a more reliable reading. Having a thermometer at home is also a necessity. If you think a fever may be brewing, always check your temperature to prevent further problems. When taking chemotherapy, there is a limit to what is considered normal, and after you've reached that number, then most doctors advise that you should seek medical attention. Once again, check with your oncologist or chemo nurse, as they are the ones who can advise you properly. These are inexpensive items you should have at home that will help to keep a closer check on the patient and as caregiver, help to ease your mind in the middle of the night. They have become invaluable in our home! 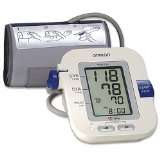 OK..I'm off to the drugstored to purchase my blood pressure monitor. I have been on bp meds for a few months now, and find it difficult to see my doctor to have it regularly checked. I've been reading your stories and want to say a big thank you for sharing your experiences with our family, as we have so many similarites.